Showing Products 41 to 61 of 61 Products. Discover the history behind the facts. Witness the war's defining moments and international aftermath, and discover a few lesser-known facts you may never have heard of along the way. 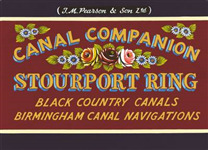 A guide to the popular Stourport Ring and Black Country Ring cruising circuits, featuring the Dudley and Stourbridge canals and the atmospheric Birmingham Canal Navigations. This insightful book ventures into a part of the global economy rarely witnessed by Western observers. * In Harry's second book he introduces us to the novelties which abound in our North Country Fairs, from fell Running to Rabbit Fancying. Written by co-founder of multi-award-winning organization Forest Fringe, this is an ever-changing show that toured internationally for two years. This volume discusses Children's Literature through the ages from fairy tales and early didactic literature through to the classics of the nineteenth and twentieth-centuries and the modern day. Presents a program to help you develop multidirectional, explosive speed and gain an advantage in a game where feet and inches can make the difference between winning and losing. This book includes drills for individual or team practice; soccer-specific running, flexibility, and strength exercises; and, warm-up and cool-down exercises. The classic, bestselling account of the infamous Kray twins, now a major film, starring Tom Hardy. The first comprehensive account of the storming of the Iranian Embassy in London in 1980. Berlin is a comprehensive short history and portrait of the German capital today.